The Black Hollywood File: DENZEL HEADED TO THE TUBE? 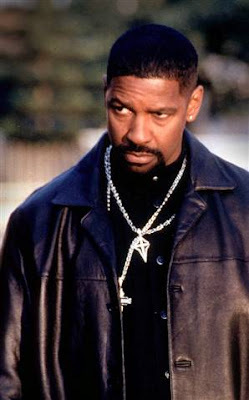 DENZEL HEADED TO THE TUBE? Oscar winner Denzel Washington might be taking his chops to the to the tube as an executive producer on "Billy Stiles," a cop drama project from TV writer Virgil Williams. Fox is in talks to pick up the project, which would be laid off at 20th TV. Williams is expected to executive produce alongside Washington and Escape Artists' Todd Black, Jason Blumenthal and Steve Tisch. "Billy Stiles" is an ensemble drama that centers on the title character, a genius gang member-turned-cop. It's based on a short story Williams wrote six years ago when he was between staff writing jobs. He used is as a writing sample until his manager at Mosaic eventually sent it to Black. Black and his partners at Escape Artists came on board and helped develop the project. Black also sent the story to Washington, who also became interested. "Billy Stiles" was originally developed as a cable series but was later reworked as a network show and taken to Fox, with Washington on board for the pitch. Washington got his start on NBC series "St. Elsewhere" in the 1980's before moving onto the big screen for a career that has earned him two Oscars. Williams' series credits include the Fox/20th TV drama "24" and "ER." He is repped by UTA, Mosaic and attorney Matt Johnson. Labels: DENZEL HEADED TO THE TUBE?